As one of my UBC Farm Practicum assignments, I took a look at the Three Sisters Farm, in Gibsons, BC, on the Sunshine Coast, which I had the opportunity to visit in April of 2013. I chose this farm because of the scale, the mixed animals and vegetables, and the different marketing methods. 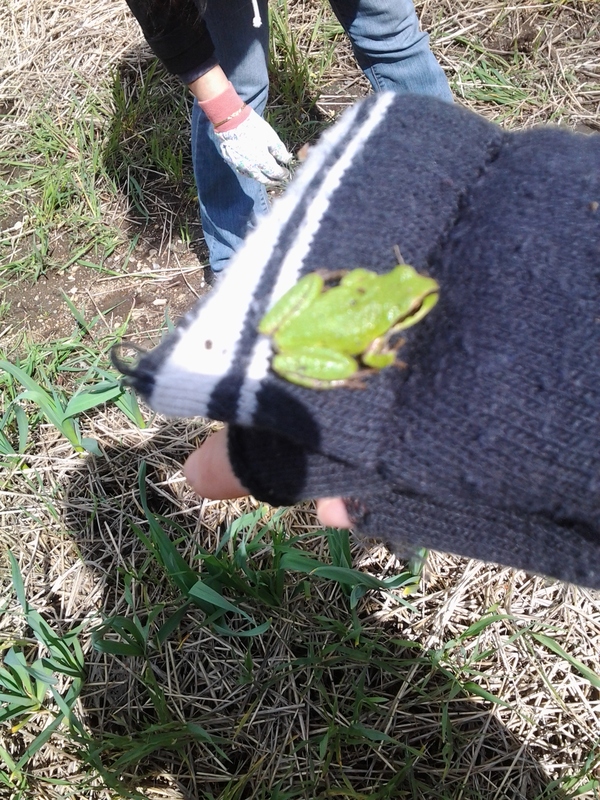 For another overview of the farm, see the great blog post from the Compost Diaries. All pictures are credited to Jenn Upham. 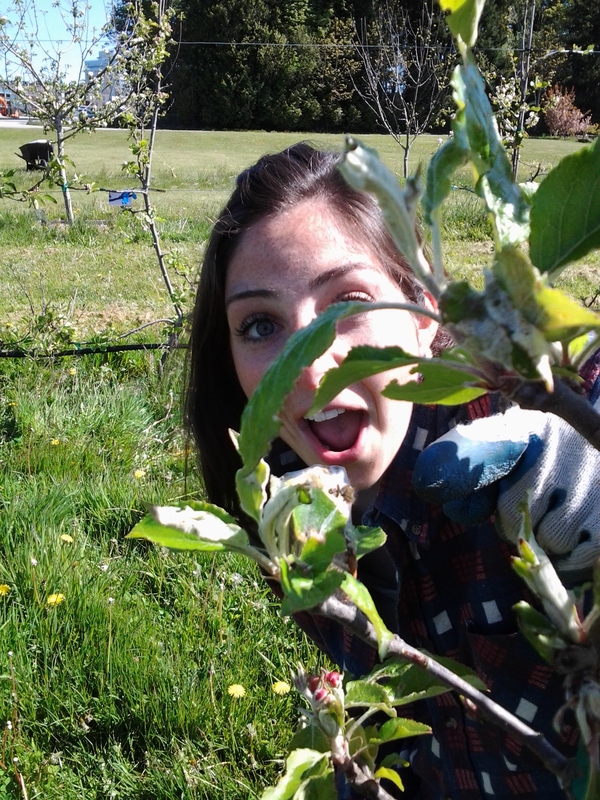 Three Sisters Farm is a 3 acre farm, cared for by UBC Practicum alumni Katy, her partner David, and her mother, Joan. Approximately half an acre is under mixed vegetable cultivation, and they had 3 goats and 70 laying hens when I visited in April, one of the goats being a week-old adorable kid named Clarence. 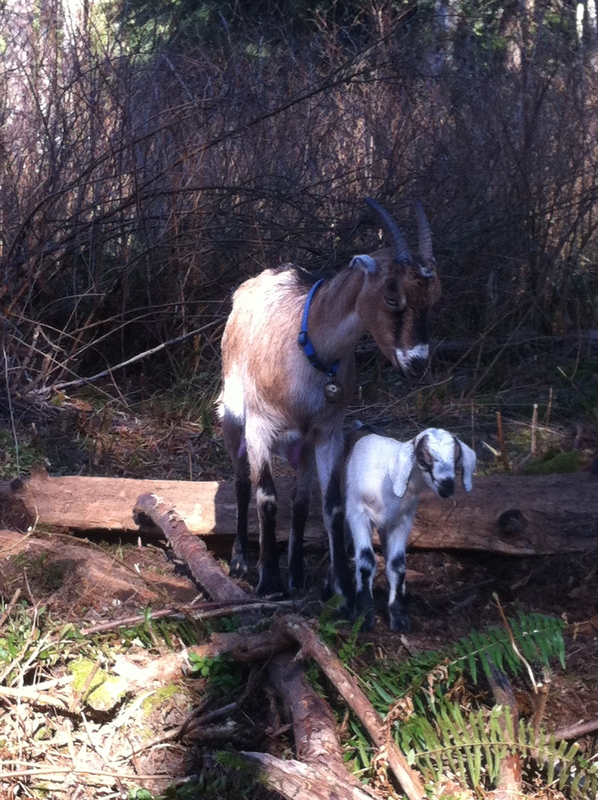 At Three Sisters, they focus on what they love, and clearing the land is powered by humans, goats and chickens. Due to the remote nature of the Sunshine Coast, they are able to have an on-farm slaughtering license, which reduces costs, and they never have enough eggs to meet the local demand. 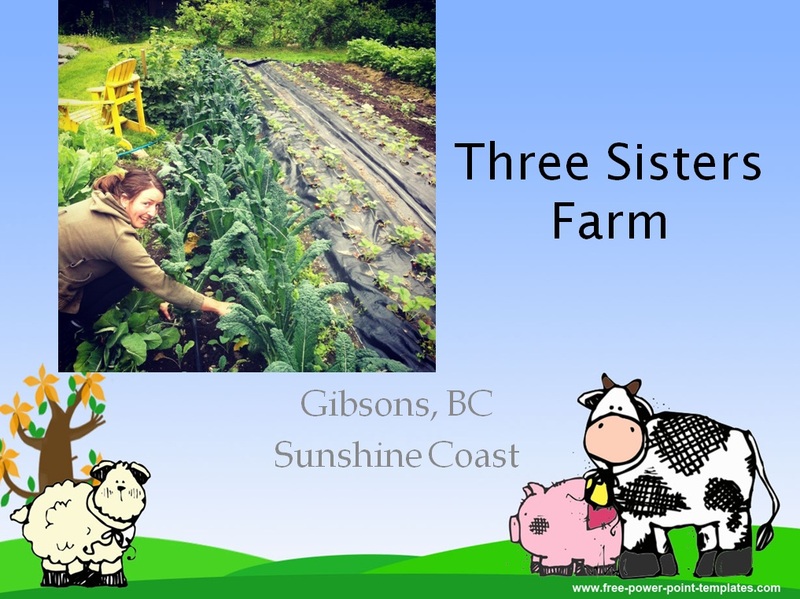 Three Sisters Farm has 3 main outlets for their products – a farm stand, farmers’ markets, and the Gibsons Farm Collective. Of these three, the collective interested me the most, as this is not one of the more common ways that small scale farmers are marketing their products, and it works very well for them. The collective is made up of three farms in Gibsons, and they sell through an online system, putting up a list of available products each week, and taking orders from customers by a specified day. The collective runs 10 months of the year, and is the biggest sales outlet for Three Sisters farm. In fact, the bed and breakfast that we stayed at in Gibsons ordered their eggs and vegetables from the collective. The soil on the farm is glacial till, recent forest cover, with lots of coarse organic material, large clay deposits and uneven soil – some gravely, some clay. The farm uses some organic-approved soil inputs to balance soil acidity and fertility, and is increasing the use of their own compost for soil improvement. The rocky, acidic soil in this area is definitely a challenge, along with the challenges posed by a forest-covered piece of land, and planting in newly cleared soil. But after four seasons, the farm is well established within the community, and they are finding the right balance of crops that works well for their soil, climate and passion. Future plans include a fruit orchard. Ask yourself, ‘What do I want to spend most of my days doing?’ Then try growing those. Learn from farms that grow them well. Try growing the things you want to grow in many different ways and in different locations on your farm. Look at what there is a demand for in your area. If it matches what you want to grow, try to meet it. Work very, very hard and don’t feel bad about it. Pour all your energy into your farm dream. Eventually after all that hard work, it will start to give back and it will make you happy. As I’m nearing the end of my practicum program, and creating my own farm plan, I have been evaluating the different direct marketing streams that are the main sales points for small scale organic growers. I go through them here to compare and contrast the benefits and challenges. In a CSA model, customers typically pay at the beginning of the season for a share of the produce. Generally, they expect a certain number of weeks of produce, and the idea is that they share in the ups and downs of farming. This provides farmers with cash flow at the beginning of the season, when it is greatly needed, and an assured market. Since the customers don’t typically choose what is in their box, they are exposed to a variety of fruits and vegetables that they may or may not be familiar with. CSAs often result in longer term, established relationships between customers and farmers, and often include some aspects of engagement, like on-farm pick-ups or other activities to connect the customer with the farm. Some of the challenges associated with CSAs can be the administration and logistics – preparing the boxes for pick up/delivery each week, arranging with customers who are not able to pick up at the allotted time, and collecting the bins back from customers each week. There is also some stress associated with having to meet the CSA requirement each week, no matter what’s going on at the farm. Generally, though, CSA is a good option for new farmers, because customers can be recruited from friends and family, and are often made up of supportive people who will cut you a bit of slack during your first couple of years. Longer term, though, it may not supply enough income to be worthwhile. 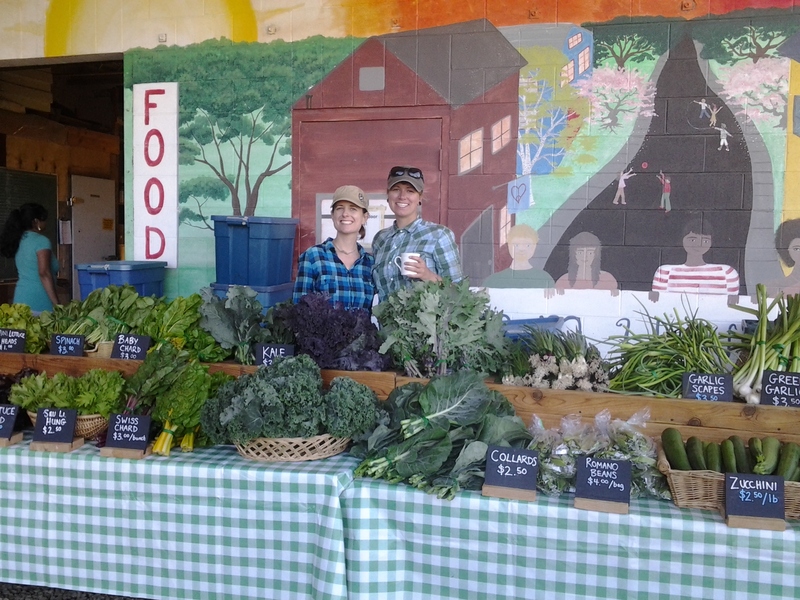 When people think local and organic food, they often think of farmers markets. The markets offer a great opportunity to interact with customers, and allow a farmer to sell whatever they have without having to meet specific quotas. They also allow farmers to charge top dollar for their produce, and can be quite lucrative. Plus, they’re fun! The downside of markets is that they can take up a lot of time and travel. If the market isn’t right on your doorstep, then fuel costs have to be taken into account, and the time that the farmer spends at the market instead of at the farm is valuable. And if the farmer isn’t a people-person, it would not be as fun, and dealing with the same question 100 times an hour can get frustrating (See what questions not to ask!). And poor weather or a holiday weekend can seriously cut down your profit, making it less worthwhile to have driven all the way out there and spent the day at the market. There is also a lot more competition, and for a new farmer, it can be difficult to become established and well-known, as customers often have their loyalty to a specific farmer (which is why it can also be great once you have it!). Restaurants can be an excellent source of income for local farmers, especially those restaurants that are focused on local, sustainable food. They often take produce that would be considered specialty items, will pay a good price for them, will buy produce that may have cosmetic deficiencies, and will order in large quantities, which reduces the labour involved in bunching or bagging small amounts. Chefs understand the value of high quality produce, and know what to do to make it taste great. Also, once a relationship is established, it can be a regular, weekly, assured sale. A challenge associated with selling to restaurants is that there is high turnover among head chefs, and if a chef leaves, your relationship with that restaurant may disappear suddenly. Restaurants also expect that you will have somewhat more regular, predictable amounts and quality, which can be challenging in the first couple of years of farming. Also, it can take a lot of upfront work to establish relationships with restaurants. In many rural areas, especially along major roads, you often see farm stands at the driveways of small farms. These stands are stocked with what’s available from the farm (eggs, produce, flowers), and often use an honour system of payment, with a locked pay-box and a list of prices. 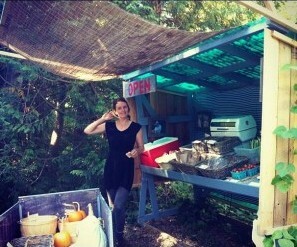 This kind of farm stand is great for saving labour, because no one needs to be standing there (although you should be close-by), and customers who know it is there can come when it suits them, instead of waiting for a designated time. It often capitalizes most on a local, committed customer base, who know that you are there and will come to you for their shopping. The challenges are obvious, though. Theft and dishonest payment, not being able to keep produce looking its best, potentially losing sales if you are not there to restock when something runs out. It also doesn’t work if you are not easily accessible by road, or are too far away from town centres. Selling wholesale to grocery stores, chains or distributors is one way for a farmer to sell a large amount of product, all at once. It also means that the produce is going to the place where the majority of people still buy their produce, which is the supermarkets and grocery stores. By selling wholesale, farmers sell more product, but receive a lower price per item. There are also a lot of costs (and waste) associated with packaging and shipping, with standardized expectations for each product that must be taken into account. Distributors and wholesale buyers also want to have a regular and predictable supply, and be able to buy large volumes from one source, instead of many shipments from smaller sources. In reality, most small-scale farmers don’t sell wholesale, because of the difficulty in administration, not enough production, and the lower prices. But there are certainly larger scale farms that make this a successful marketing avenue. Other farms are successful at using variations of these marketing avenues, such as co-ops, group buying clubs, made-to-order CSA shares, full-diet CSAs, online buying, and many other ways to sell directly to the customer. Marketing is only limited by imagination! For me, and the farm I envision, I imagine that my marketing will be a combination of CSA, farmers markets, and restaurant sales. If my farm ends up in a location that is favourable, I would love to have a farm stand one day. What’s important to me is that I am able to make my farm financially sustainable and successful, that I can connect directly with my customers (and they with me and my farm), and that in the end, my farm produce goes to feed people in a healthy, environmentally friendly way. The last couple of weeks at the farm, we’ve gotten down to business. 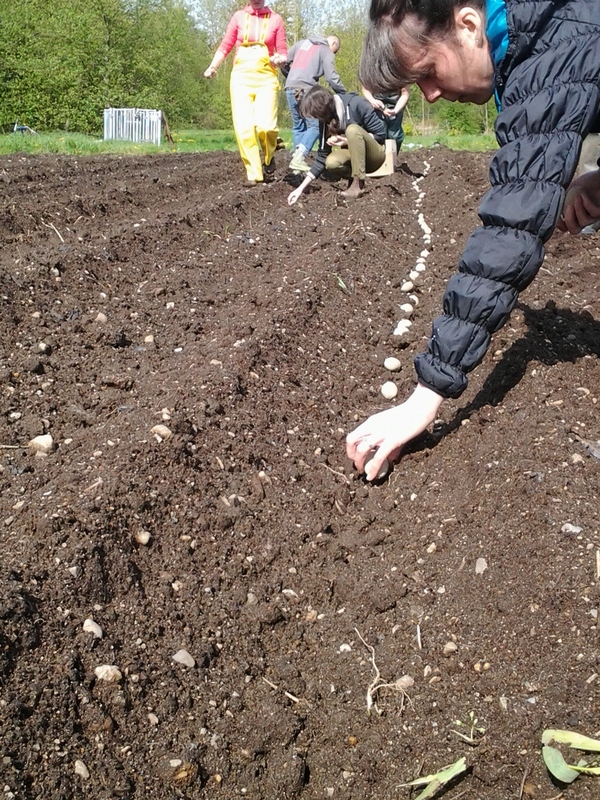 Strawberry whips and beautiful rows of seed potatoes were set in the ground under the sun, evenly spaced and properly deep, or so we hope. An interesting aspect of farming is perfect spacing – just enough space to give the plant room to grow, but close enough together to maximise production. 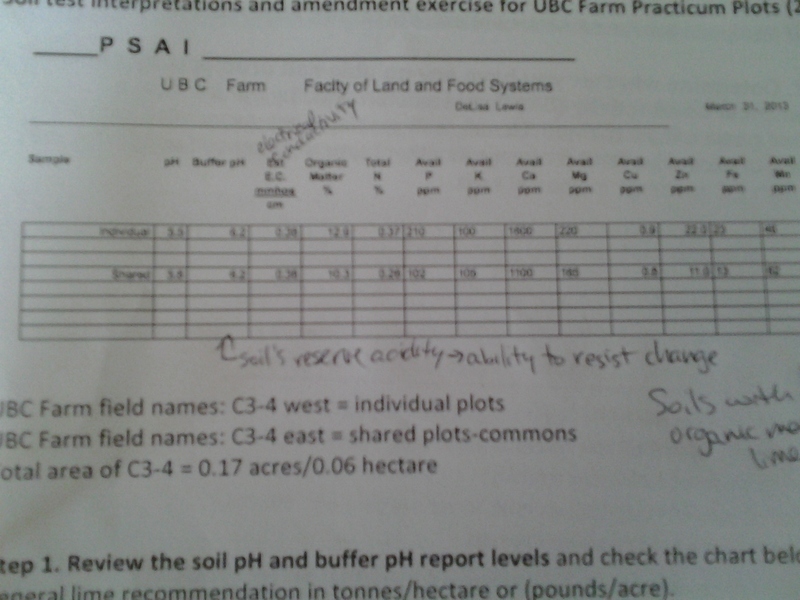 Planning is such an integral part of farming, and a part I’m already struggling with! Every plant has such specific needs for soil type, spacing, light, watering, etc. 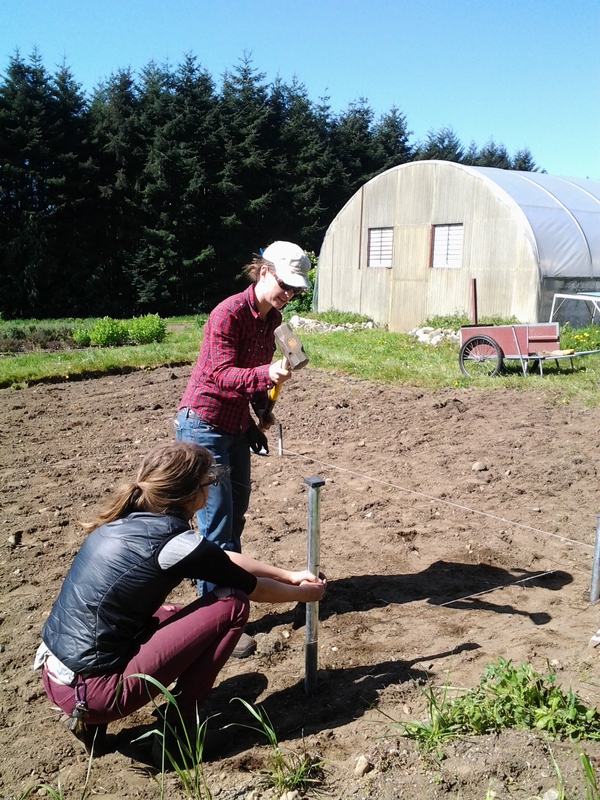 I spent a good few hours on our first assignment, our individual plot plan, trying to maximize how many things I could get in there, while following the structure of the sections, mimicking the farm’s crop rotation. My plan finally came together, with it’s mix of squash, brassicas, legumes, and hopefully a whole wack of carrots. 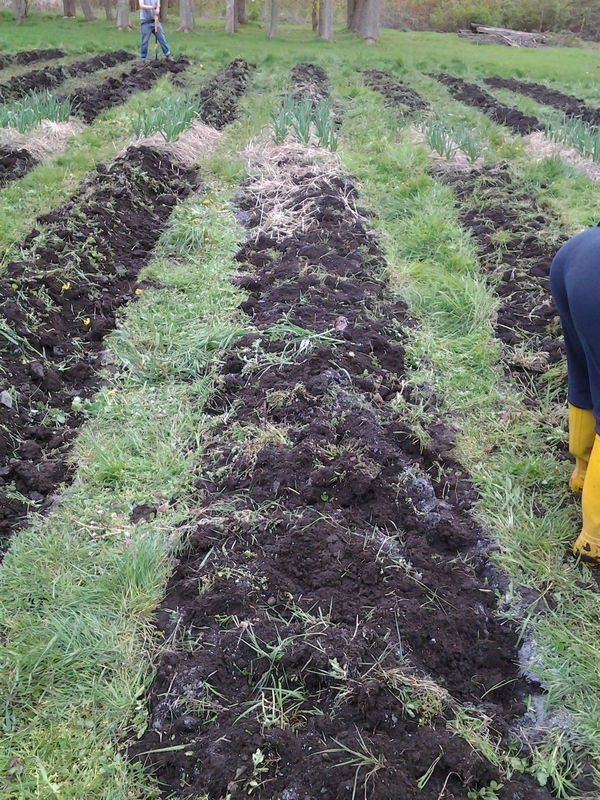 Unused muscles are complaining with the spring work of bending, shoveling, and getting into shape, as the plot preparation and planting gets well underway! 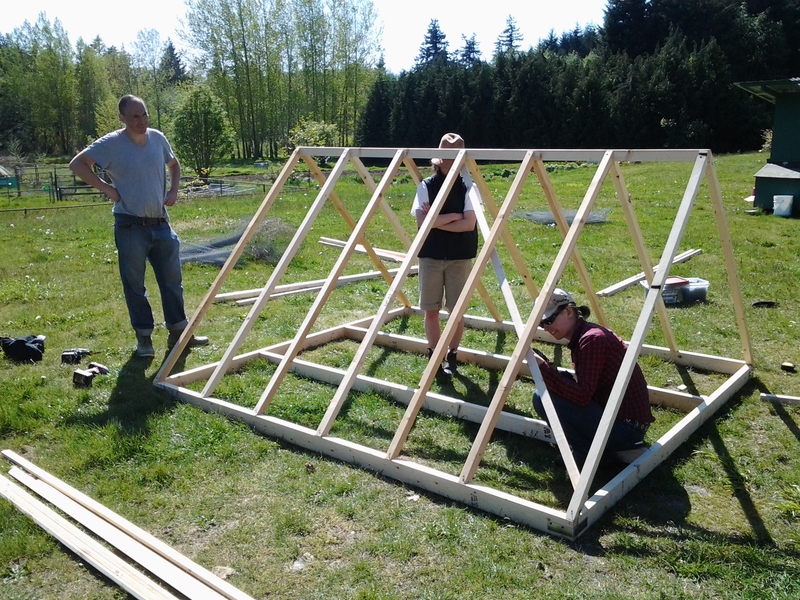 This past Saturday’s windy afternoon had us outside, learning about low tunnel structures. 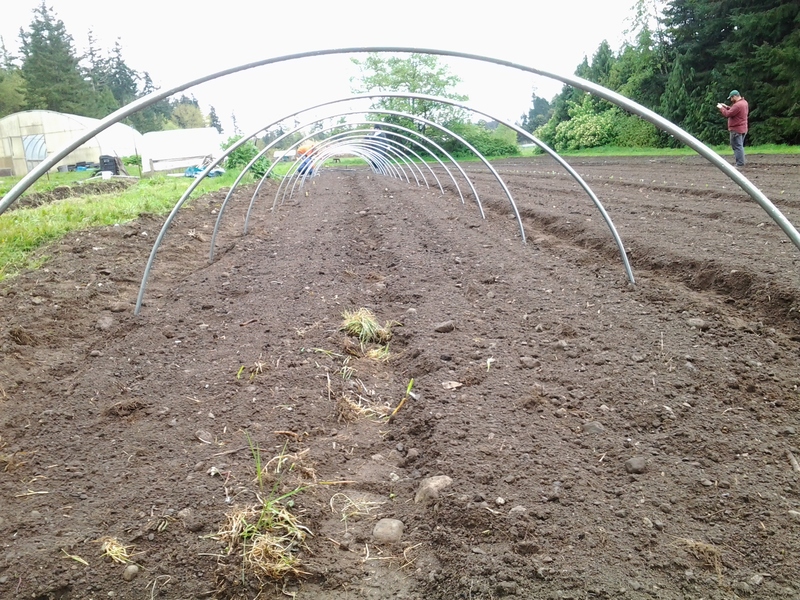 Used to protect young crops from excess rain, keep the soil a bit warmer, and keep the pests off. 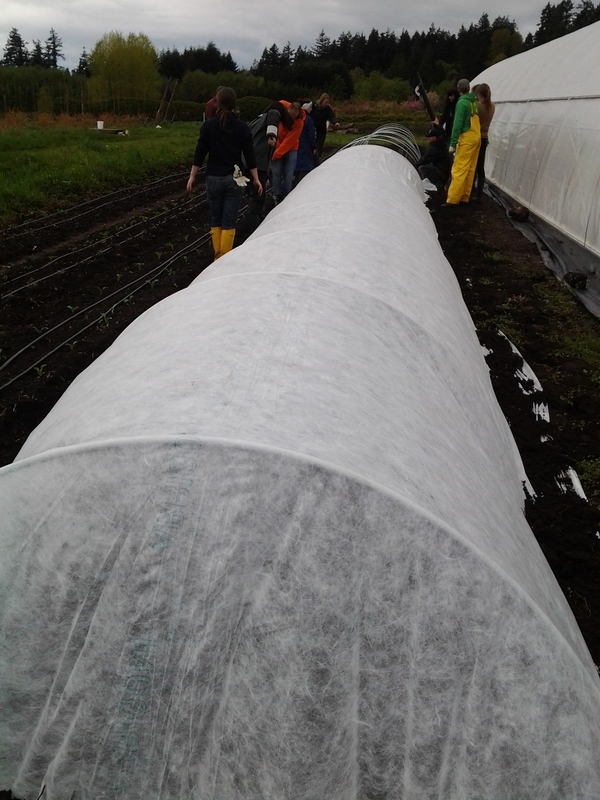 Unfortunately, we had a rather windy day to contend with, which made it lucky that there were 13 of us trying to put the cover over the bent posts. 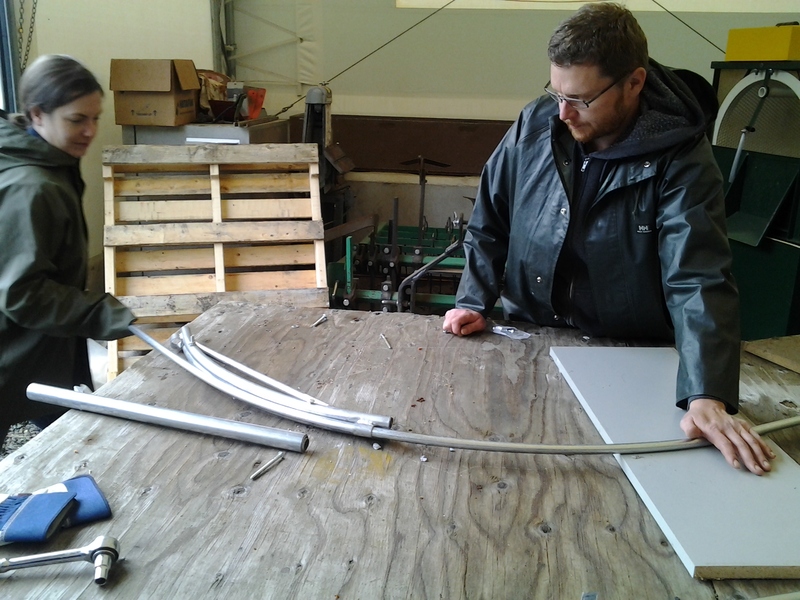 We finished the afternoon trying to fit the puzzle pieces of irrigation and drip tape together. My plot only looks like a length of dirt for now, but the soil is busy getting ready for planting. Broccoli and greens are started indoors, to be ready when the plot is. Such an exciting time of year, full of promise.